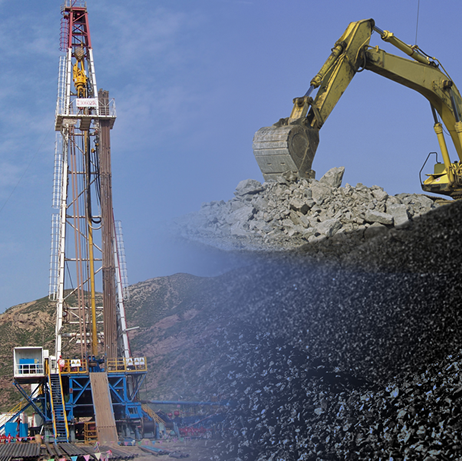 Marshall Miller & Associates performs a wide range of geological, environmental, hydrogeological and mining engineering services. MM&A’s seasoned staff of engineering personnel delivers design solutions for a variety of projects and industry-specific applications. At Marshall Miller & Associates our diversified staff of engineers and scientists possesses the knowledge and experience to manage all aspects of your sustainability project. Marshall Miller & Associates (MM&A), a diverse consulting and engineering firm headquartered in Bluefield, Virginia, U.S.A., offers a wide spectrum of services to clients in North America, South America, Asia, Australia, and Europe. Over its four-decade history, MM&A has evolved into a leader in the mineral resource, mining and environmental industries. The company's growth is based on a commitment to applying and developing advanced engineering and scientific technologies and maintaining our talented staff of geologists; hydrologists; earth scientists; and mining, petroleum, and civil engineers. and seasoned staff to meet your project demands. The links below are generated in order to provide quick access to our most visited services. MM&A mining engineers are seasoned industry professionals. The roots of MM&A originated with professional services provided to the coal, aggregate, minerals, unconventional gas, financial, and insurance industries. Professional services include mining engineering, mining and petroleum geology, petroleum engineering, mining-related environmental services, expert witness and litigation support, valuation and appraisals, financial and operations assessment, advisory services, permitting/regulatory services, and wireline geophysics. Our mining-related client base consists of over 250 companies.